In life, success happens when opportunity meets preparation. When looking forward to your dream job, preparing for your interview is indispensable. By preparing adequately and timely, you position yourself for success because you can anticipate what lies ahead and approach everything proactively. Therefore, this post will share out tips that will enable you to prepare for your next job interview. We begin our preparation at the beginning of everything—your first impression. Even before you say a word, your interviewer will judge and even address you the way you are dressed. It is true that people should not judge books by their covers. However, interviewers judge job candidates by their physical appearance because first impressions last. Therefore, determine the kind of formal dressing you will don in when you appear for the interview. After choosing the right dressing, it is also needful to prepare it on the eve of the interview. The second level of preparation should be the materials you will require during the interview. You need to locate your resume and get its copy on high-quality paper. Also, it is beneficial to prepare and park a notepad and pen to take notes during the interview. 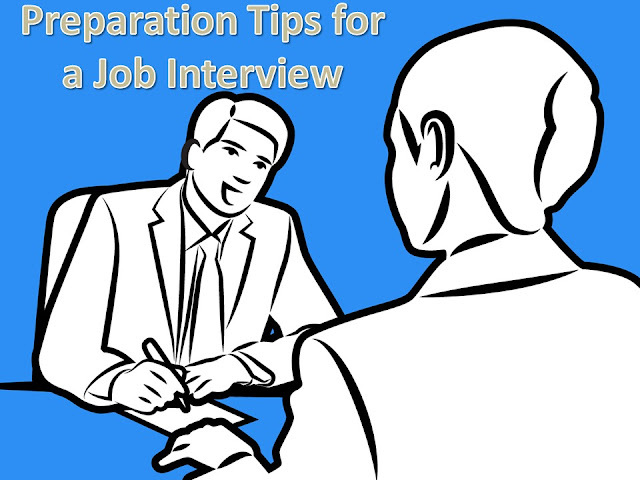 Other items you need to prepare for that interviewing session are a bottle of water, work samples, and academic certificates. Before showing up for your job interview, you have to get all the necessary information about the organization. You need to research their future goals and objectives to know how you will fit into them should the company hire you. It is also necessary to talk to any of the employees of the company to give you a hint of the culture of the organization you intend to join. To prepare well for your interview, it is prudent to rehearse the interview with a friend, especially if both of you are applying to work for the same company. Rehearsing will help you to position yourself for the main day and bring yourself into the right mental frame you need to answer questions. This way, you will be able to see the real you in terms of giving answers, asking questions, listening, body language, and other necessary components of participating in an interview. Also, it is advisable to take a video of the session to allow you see yourself and make necessary adjustments. For instance, the video will show you how settled your body language was, whether you were shouting or taking in a low tone, and if you were talking too slowly or fast. Also, it is necessary to prepare a few stories about yourself as a way of answering some of the questions about yourself. It is necessary to write and cram your success stories to show how you have felt when you achieved some things in life. But why are stories critical? They are vital because they enable you to prove you have those qualities that are hard to assess such as sharp judgement, leadership, compassion, tenacity, cooperation, submission, and initiative. So, you need to take enough time to memorize and choose the best ones to bring out the qualities you will need for the prospective job you are preparing for. Lastly, make sure that you know the exact direction of the company you are going to work for. If you are driving or flying to another state or city, it is needful to research the exact location of the firm. If it is far, it is even prudent to arrive a day before the interview and locate their offices before attending it. Don’t be shocked; you could end up wasting your time getting lost and trying to locate the organization’s premises. But by ascertaining the directions, you will save yourself the hassle of arriving for the interview stressed because of something you could have sorted on time. Our career experts at cheap-essay.com have shared all the secrets you need to prepare for your job interview successfully. The ball is in your court to do the right thing when that big day comes.